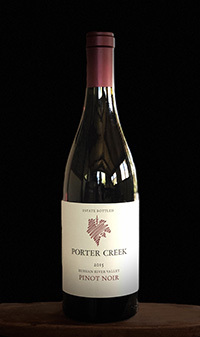 Sourced from steep estate hillside vineyards that were developed under the watchful care of two generations of the Davis family using organic and biodynamic principals. The winemaking is traditional old world, using hand punchdowns, natural yeast and minimal interventions. Shows elements of wild strawberry and fresh forest floor on the nose and a sensual textural balance on the palette. Unequivocally Russian River Pinot Noir in it’s purest form.